The thing with Western movies is that even though they are no longer as popular as they once were, they are unlikely to fall from grace completely. 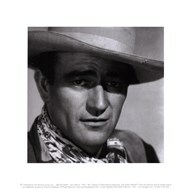 John was the perfect personification of the western and war movies hero, with dozens of excellent movies and he left behind an impressive collection of artwork. He was best known for Fort Apache, She Wore a Yellow Ribbon and Rio Grande and this is why so many John Wayne art prints focus on these three titles. It definitely helps to have some suitable furniture, but the great thing about Western images is that they tend to fit in nicely pretty much anywhere. 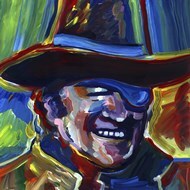 The vast majority of John Wayne printings depict the actor in memorable moments, or are close up pictures. Having played in so many movies, John left his mark not only through superb acting but also by uttering some words of wisdom. 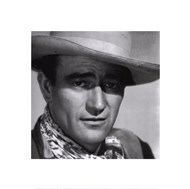 It comes as no surprise that some John Wayne art prints also include such a famous quote, for those who want to convey the message in a more effective way. Some of these quotes are quite memorable and pack a powerful punch in conjunction with the inspiring images.